Tottenham Court Road is not somewhere you’d expect to find high quality independent coffee, despite its length and variety of outlets. 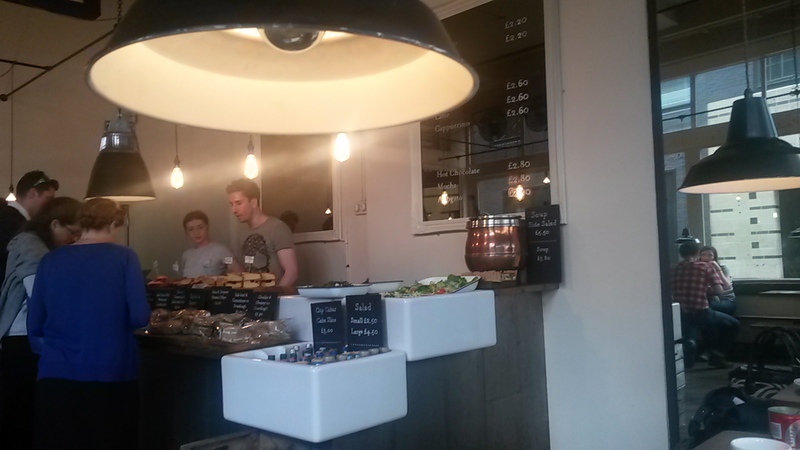 However, right at the top end between Warren Street and Goodge Street is Tap Coffee. Not that you’d know that it’s called this, as it has no name choosing only to identify itself by a bike, a sign saying coffee and its number – 114. 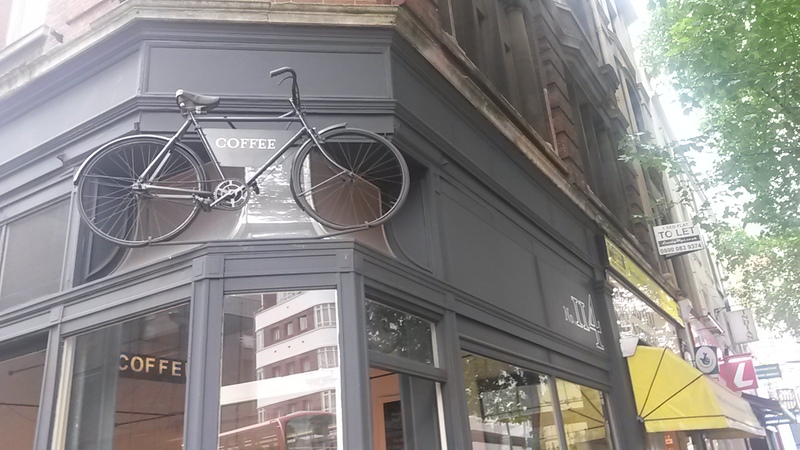 This small but airy coffee shop is one of three in the area – the other two in Rathbone Place and Wardour Street. Using its own coffee, which you can buy in cool packages decorated with a Jack of Spades, the coffee was sweet and acidic layered with notes of nuts and coffee. The cappuccino was a bit small but big enough and tasty enough to be worth the £2.60. They only do coffees in one size but also offer a range of single-origin filters along with an affogato. Depending on the time of day you go it ranges from bustling with workers grabbing their espressos to go or shoppers and locals stopping to relax with a flat white. The bare beige walls and dark wood are given a boost by little touches like the tree stump table in the middle, the ornate mirrors and the hanging bare bulbs. Food is displayed in huge Belfast sinks. 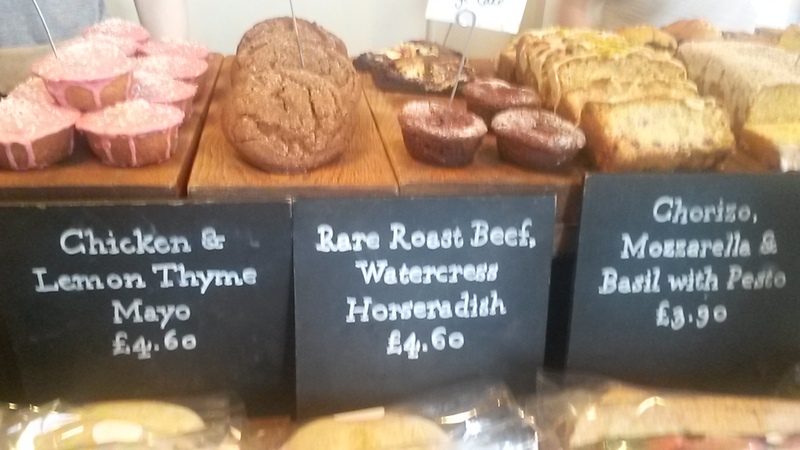 Sandwiches, salads and soups along with some tasty looking baked goods. Nothing too exciting but it all looked healthy, fresh and hearty. Good service. Order at the bar, grab a seat and they’ll bring it to you. This system works as it’s a small cafe and you can see if there’s any seats free or if you’ve put down a bag to hold your spot, you can easily keep an eye on it while you order. It has an excellent online shop where you can order your coffee or even get a monthly subscription to your favourite blend. In shop, however, there’s not much else going on. 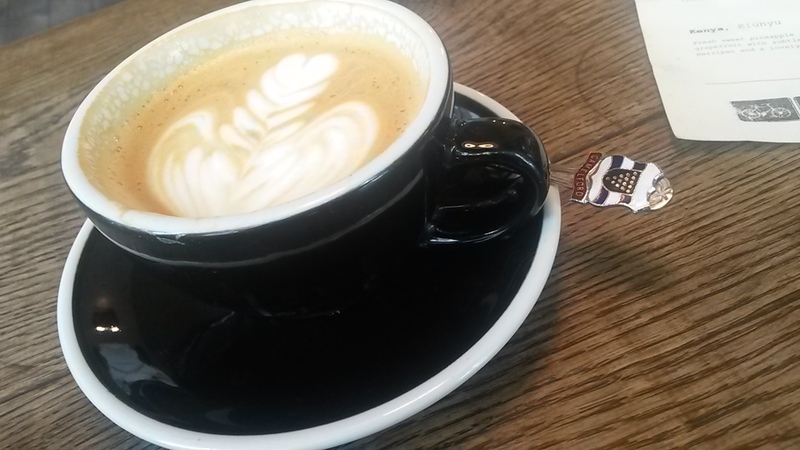 Probably the best coffee in the area, it’s a quirky venue with lots of charm.